The Brandin Cooks trade this week was a shocker--while trade rumors had been flying around the Patriots, many assumed tight end Rob Gronkowski, not Cooks, would be the star traded. However, the return certainly eased some of the surprise for Pats fans. New England traded away a fourth-round selection, but got back first- and sixth-round picks in this year's draft, meaning Bill Belichick now has a pair of first- and second-round picks to work with. So, what will he do? Here are three potential strategies. The first, and most obvious, is to stay put and use the picks to shore up holes around the roster. After the departures of Nate Solder, Malcolm Butler, and Cooks (among others), there are plenty of spots the Pats could stand to improve before next year. Prospects like UCLA's Kolton Miller, Texas' Conor Williams, and Notre Dame's Mike McGlinchey might be available on the O-line, while New England could look at Iowa's Josh Jackson, Colorado's Isaiah Oliver, and UCF's Mike Hughes to reinforce the secondary. Quarterback is another need here--if the team doesn't trade up, Bill Belichick would be wise to snap up a passer like Oklahoma State's Mason Rudolph or Washington State's Luke Falk with one of those second-rounders. This strategy would allow the Pats to cover the most ground early in the draft, and would best fit Belichick's style; in all his years as coach/GM/personnel czar, he's only traded up twice in the first round. However, BB could also decide this is the year to spring for one of the top-flight quarterbacks. UCLA's Josh Rosen, USC's Sam Darnold, Oklahoma's Baker Mayfield, and Wyoming's Josh Allen might all be gone by the 15th selection, meaning a trade into striking distance would cost the Pats almost all their extra capital. However, some reports have already linked Mayfield to New England, and there's certainly some solid thinking behind paying a premium for a premium talent--Tom Brady is in uncharted waters at age 41, and even if he manages to continue playing so well for four more years, New England could still probably trade away their selection for an equally high return. In effect, rinse and repeat. While this is certainly less likely than Belichick sticking to his guns, using the picks at their slots, and finding a hidden gem quarterback later in the draft, the past few years have been anything but business as usual. A trade up is definitely in the realm of possibility. Most unlikely of all, the Pats could trade those picks away for a current star. There are plenty of problems with this theory: it doesn't give the team as many shots to develop talent, and it would cost a lot more against the cap (any star worth multiple first-rounders will require a massive deal to stay in Foxborough). However, it would be a much surer bet than the draft-and-develop route, and it would offer the Pats a shot at a truly transcendent talent (like, some would say, Odell Beckham Jr.). And like the idea of trading up for a quarterback, this avenue offers a reasonable chance that the Pats can sell high a year or two down the road. If the Brandin Cooks deals were any indication, Bill Belichick is one of the best GMs in the league at extracting value out of stars and then recouping all his investment without having to dish out any megadeals. Unlikely? Certainly. This is the most out-there of the three options by far. But once again, certainly possible. 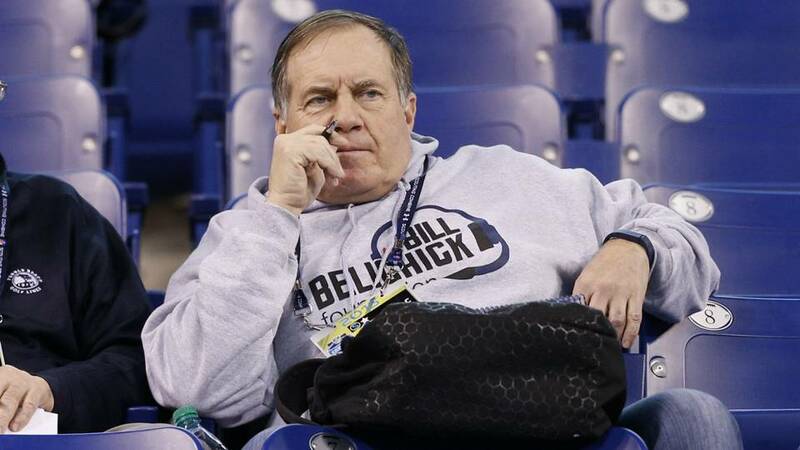 The new picks have given the Pats a lot of flexibility in this draft. Tune in April 26-28 to see which route they take.